Through the 1980’s and 1990’s various incidents where large evacuations were hampered by emergency lighting failures or inadequacies lead to the investigation of photoluminescent materials as an alternative OR supplement. It was Canadian Research lead by the National Research Centre in 1998 and 2006 that lead to the conclusion that high performing photoluminescent material could be the best alternative when marking a route for an evacuation conducted in a black out. Based on the results of this research, in 2009 The International Fire Code developed a standard for marking evacuation paths, called “safety way guidance.” This standard is referenced around the world in hundreds of jurisdictions where photoluminescent Safety Way Guidance is mandated in high rises. In Canada there is now two standards for Photoluminescent performance. ULC572 defines the required performance. ULC590 defines how safety way guidance should be designed and installed. 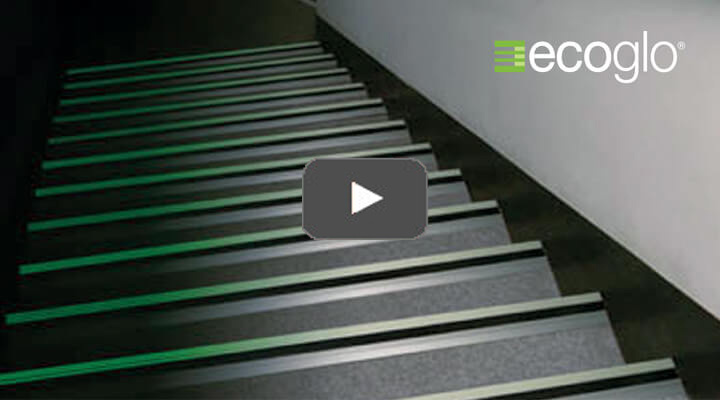 Why ECOGLO® Safety Way Guidance? Continuous lines of luminance, marking the perimeter of an evacuation path are best. Marking of handrails and steps ensures evacuees see clearly where their feet and hands should land. Photoluminescent SWG is never obscured by shadows and is under smoke if it accumulates in the evacuation route. 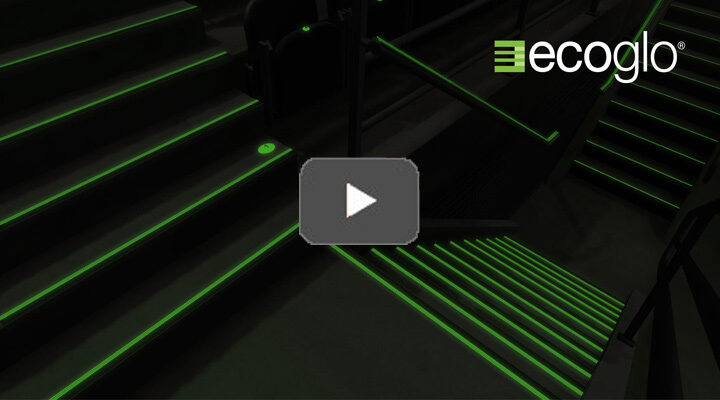 Ecoglo® SWG eliminates the standard short comings of electrical systems. Problems with partial or total failure.